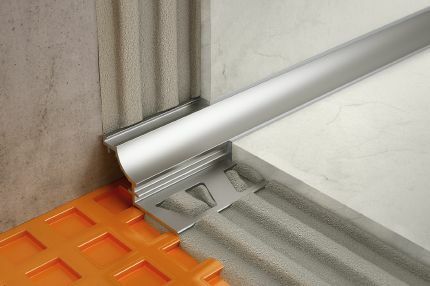 Schluter®-DILEX-EKE is a corner movement joint profile with rigid PVC anchoring legs and a 3/16” (5 mm)-wide, soft chlorinated polyethylene (CPE) movement zone that separates individual tile fields at floor/wall transitions and inside wall corners and forms the visible surface. 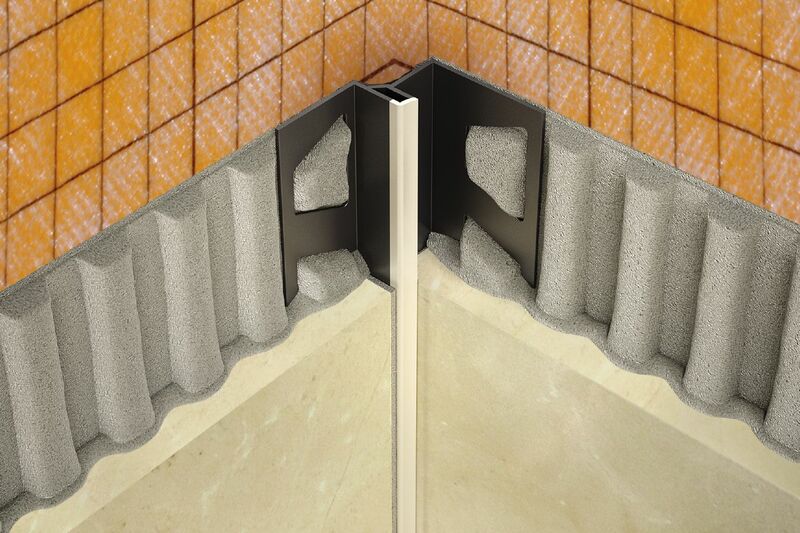 Schluter®-DILEX-EKE features trapezoid-perforated anchoring legs, made of recycled rigid PVC, which are secured in the mortar bond coat. 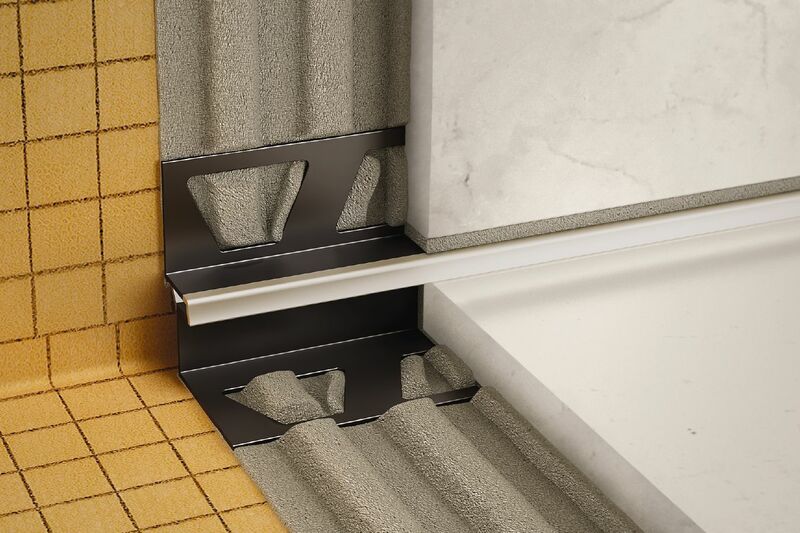 The profile separates tile fields that meet at inside corners and accommodates movement via the 3/16" (5 mm)-wide soft chlorinated polyethylene (CPE) movement zone, which forms the visible surface and creates a discrete, uniform joint. 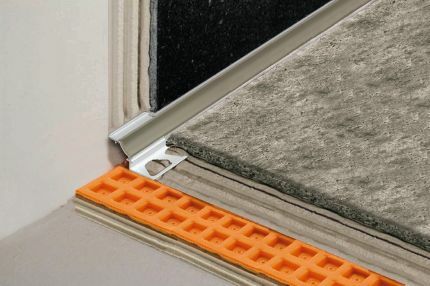 DILEX-EKE prevents surface water penetration and features a tile pocket that hides cut tile edges. 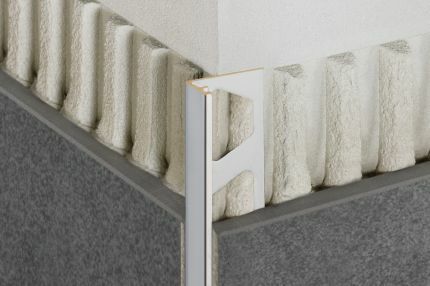 In addition, it prevents sound bridges, making it ideal for floor/wall transitions in sound-rated floors. 1. 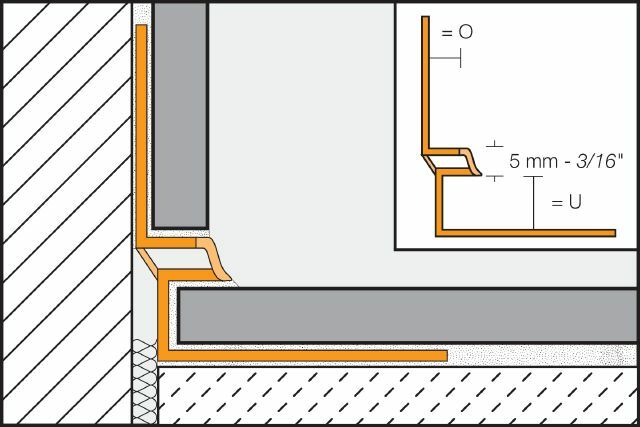 Select profile according to tile thickness and format, for DILEX-EKE “U”, must allow insertion of the tile into the tile pocket; for example, select “U 9” for a tile thickness of approx. 5/9" (9 mm). 2. 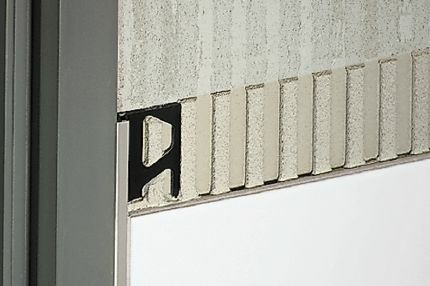 Using a notched trowel, apply thin-set mortar over the area where the trapezoid-perforated anchoring legs will be placed. 3. 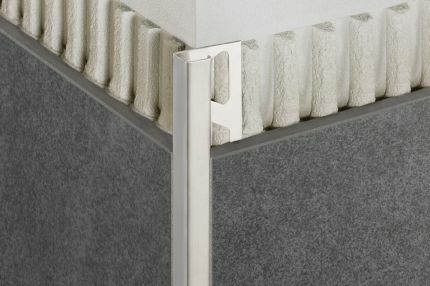 Press the perforated anchoring leg(s) of the profile into the mortar. 4. 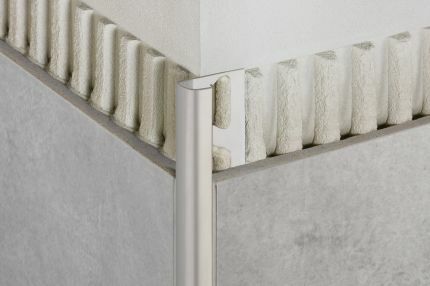 Trowel additional thin-set mortar where the tiles are to be installed. 5. 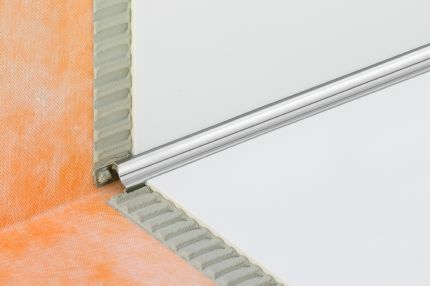 Insert floor tile into the tile pocket. 6. Fill the joints completely with grout or setting material. 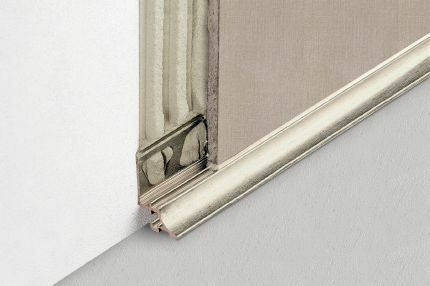 DILEX-EKE requires no special maintenance or care and is resistant to mold and fungi. Clean profile using common household cleaning agents.